A fun and friendly event for sailors and windsurfers all over North Wales! From sailors looking to have a go in their first ever race to Welsh and GBR National Squad Sailors! PLUS bring you club team along to win the Big Prize! The event is open to all competitors 16 years and under on the 31/12/2016, and includes main fleet racing and OnBoard Regatta coached racing and windsurfing. 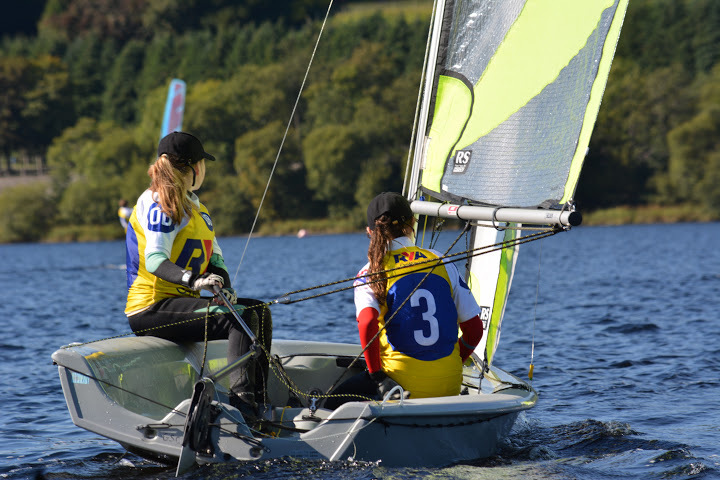 RYA sailing pathway classes such as Optimist, Topper, RS Feva and General Handicap are included in the event. The cost of entry for this years event is £30 for single-handers/windsurfers and £40 for all double-handers. 1. Main Fleet – For sailors who are competent at sailing around a trapezoid course and can withstand a whole day out on the water. Welsh National and Regional Squad coaches will be on hand to offer any technical advice on the water. 2. Regatta Fleet – For sailors who are new to racing or are young. Sailors will be able to go ashore for lunch on Saturday and Sunday and the racing is coached similar to the CYRC’s allowing sailors a little more help to get around the race course. For more info’ see below! 3. Windsurfing – The windsurfers may be sailing with the regatta fleet/OnBoard fleet. The lake should provide some excellent conditions for windsurf racing. Entry is now open! Please enter as soon as possible to help us with the logistics of the event! Please click on the links below where you will find all the information you need for the OB festival. Club Briefing pack- contains all the essential information below in a ZIP file that can be downloaded to your computer; click the link and then click the download button at the top of the page. Poster for your club! Don’t forget the club prize doesn’t just get awarded on your results but also on the number of sailors you bring! Volunteers are always needed and valued at our events. See volunteer section below for more information. Volunteers will be provided with a packed lunch during the event. As with all of our events we heavily rely on volunteers to help us run the event. We have many roles that need to be manned from safety crew to registration assistance. If you would like to volunteer at this years Welsh Zone Championships please fill in the Volunteer Registration below. All volunteers will receive a complimentary lunch on Saturday and Sunday. Please contact rosy.hearn@ryacymruwales.org.uk or ceri.roberts@ryacymruwales.org.uk to advise what role you would like to volunteer for. Below is a volunteer role description sheet to give a brief summary of each role. Volunteer Registration – will be open soon! The event campsite is Pant Yr Onnen Campsite. www.balacamping.co.uk. For more information about their prices please click here. Lots of parking spaces for boats as Well!!!! Parking is going to be onsite at the club- space is going to be tight so please cooperate with the club volunteers who are coordinating the traffic management. 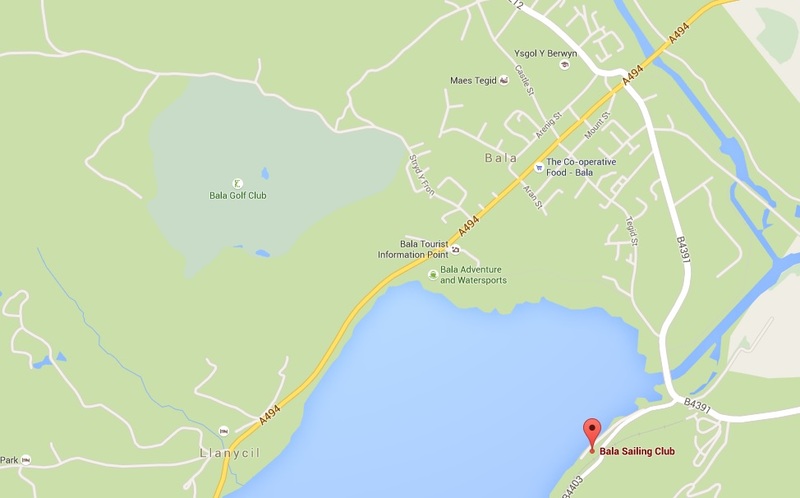 Bala Sailing Clubs resident cafe and bistro Jetty Cafe will be open Saturday and Sunday for hot and cold snacks and drinks! The event will be covered by Twitter @welshsailing. Photographs and general event information will also be on RYA Cymru Wales Facebook.